The new production hall in Hobro is scheduled to go into operation by the end of this year and offer capacity for fuel cell modules with a total output of more than 15 megawatts per year. The development of the modules in the future Marine Center of Excellence is based on Ballard’s new liquid-cooled FCgen-LCS fuel cell stack and a next-generation high-performance module, which will be launched later this year to meet the requirements for European ship approvals. The reduction of pollutants and CO2 emissions is a high priority for shipping and port cities. 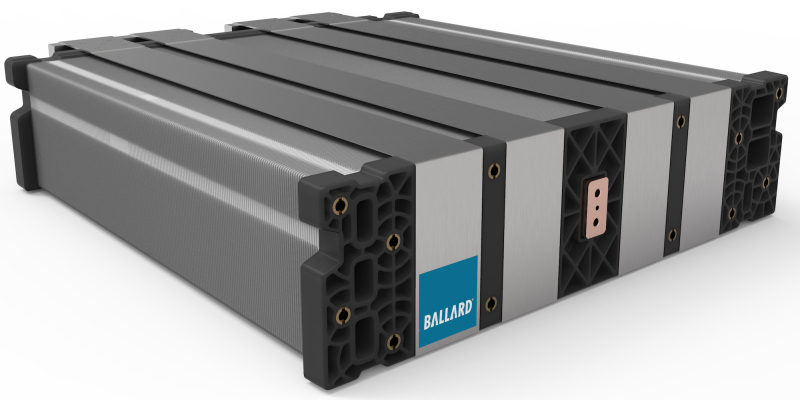 In various parts of the world, local and regional regulations are being introduced to limit diesel emissions, which is arousing interest in emission-free fuel cell technology, Ballard says. In 2018, the United Nations International Maritime Organization (IMO) announced a strategy to reduce greenhouse gas emissions from ships, including a 50 per cent reduction in greenhouse gas emissions by 2050 compared to 2008 levels. A total of 173 countries agreed on the measure. Update 09.04.2019: The Norwegian ferry and speedboat operator Norled has ordered two next-gen fuel cell modules from Ballard Power Systems Europe, each with an output of 200 kW. These will be used in a hybrid ferry scheduled to go into service in 2021. The Norled ship, with a capacity for up to 299 passengers and 80 cars, will be the world’s first commercially operating ferry with a liquid hydrogen fuel cell system. The modules will be developed and manufactured at the company’s new Marine Center of Excellence in Hobro, Denmark.